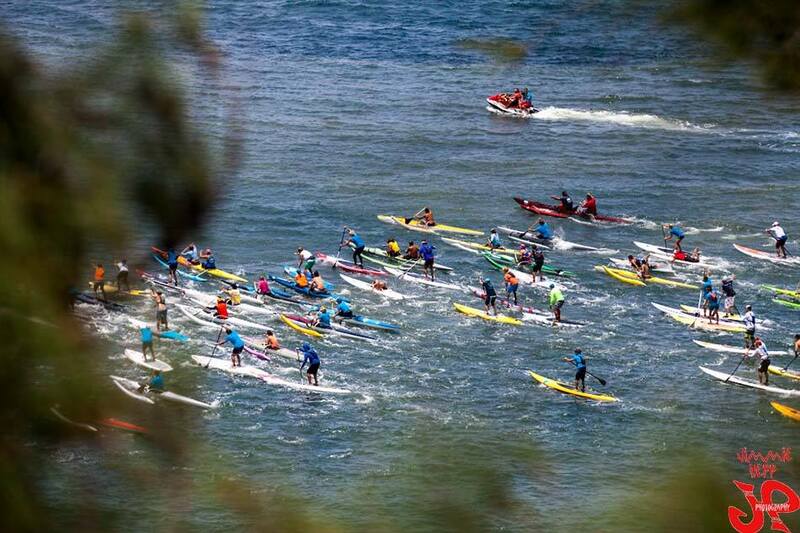 Maui’s Paddle Imua race kicked off the 2014 downwind season on Saturday, with locals Connor Baxter and Andrea Moller showing their class in less-than-ideal conditions. With light winds turning the race along the famous Maliko run from a downwinder into a bit of a grind, the 150+ paddlers (including 97 on stand ups) had to dig deep to find the bumps. And finding them better than anyone was Connor Baxter. In a further sign that he’s not human, Connor beat the entire field on a 12’6. That’s five feet shorter than most of his rivals. Granted the light winds blunted much of the advantage of the unlimited boards, but even Kody Kerbox on a 14 footer could only get within a minute of Connor. The win puts Connor in great form ahead of next week’s massive OluKai race and shows that his shocker of a result in Carolina was an anomaly. However perhaps even more impressive was the performance of Andrea Moller. Though she’s the Queen of the Maliko run and most would have expected her to win comfortably, Andrea made things difficult for herself… Less than 24 hours before the race, Andrea was sitting in California at the XXL Awards, where she was nominated for her oustanding performance riding ridiculously large waves during the winter. After the awards Andrea hopped on the red eye back to Maui and, with very little sleep, proceeded to blitz the field for umpteenth time. 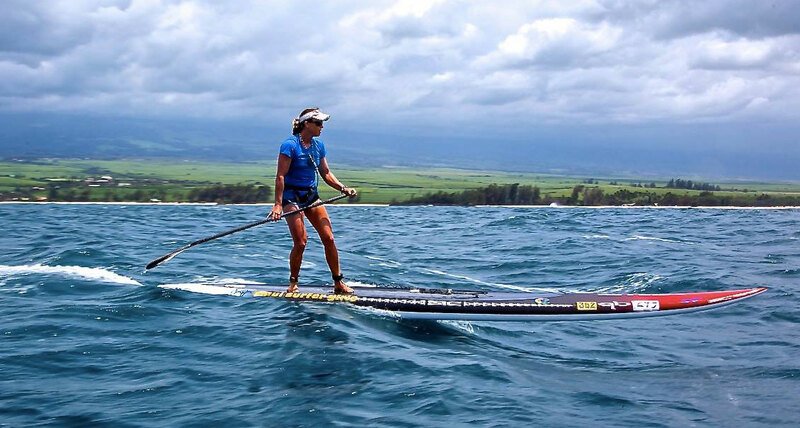 Coming home second in the women’s race was Andrea’s SIC team mate Sonni Honscheid, who finished 4th in Carolina last week and is possibly the most under rated all-round paddler in the world of women’s SUP racing right now. Paddle Imua, presented by Bluesmiths, has grown into quite the race since its inaugural edition back in 2012. The event is the first major downwind race of the season and while it’s traditionally acted as a warmup for OluKai, Imua is now beginning to make a mark as a great race in its own right. Plus it’s all for a good cause, with proceeds going to Imua Family Services, which provides child development and therapeutic services to the island. But back to the weekend’s action: Full results are below (click here for raw results, including outrigger divisions) while there are more pics of the event on Facebook thanks to he always-on-it Jimmie Hepp and some very classy water angles from Standup Paddle Magazine. 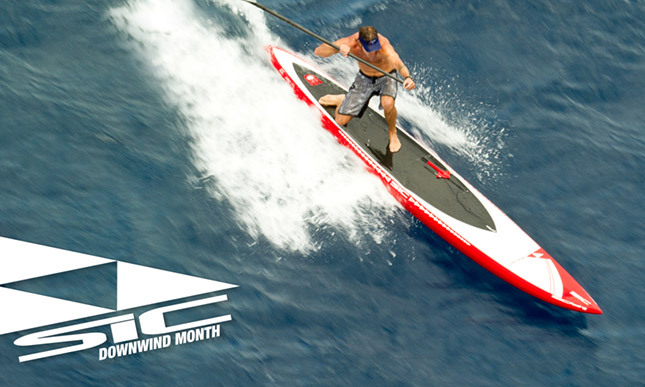 Follow the downwind racing season with SIC’s Downwind Month.